Wouldn't be so sure about E-M35.1 being the most ancient lineage in Mesopotamia, and the same might well count for the Levant. With what we've learned about Dzudzuana, I'd surmise E-M35.1 and its branches is strongly tied to the dissemination of ANA ancestry (ultimately bringing Afroasiatic speech from NE Africa). 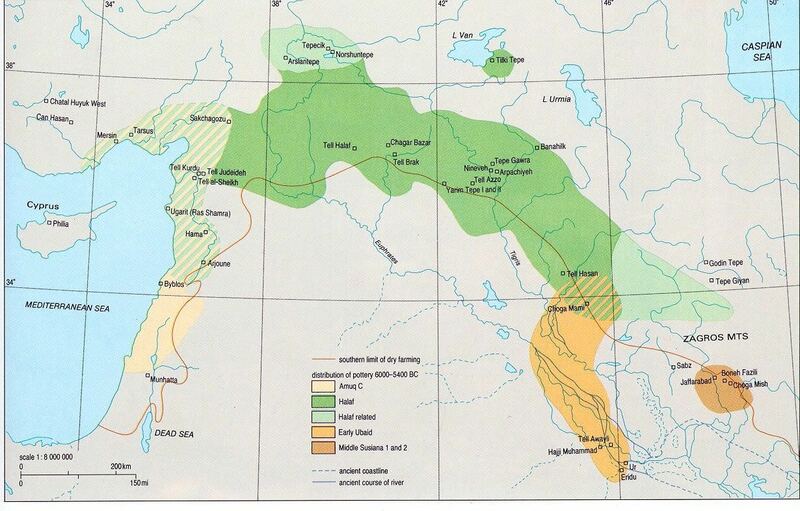 Considering the fact that the Levant has always been a crossroads region and that the first AMHs probably reached Eurasia from the Levant, there will be no straightforward answer to your question until we get our hands on samples that are at least 35,000 years older than the Natufians we currently have. But again, I suspect we won't have to go that far back, odds are ANA's arrival might initially coincide with the onset of the Kebaran period. T seems to have had a presence since the Neolithic, it could easily be older. I would also expect G2a to eventually show up in PPNA and or PPNB samples, both lineages were definitely to be found during the PPNC phase. That being said both lineages are more typical of the Anatolian Neolithic. In the Levant, J lineages are conspicuously absent from all ancient samples predating the Bronze Age, when they do show up during the Bronze Age two specific branches, J1-L862 and J2b1-M205, are consistently found together first in Levant_BA_South then in Levant_BA_North. According to Harney et al. 2018 the "Levant_BA_South population may [...] represent a remnant of a population that formed after an initial spread of Iran_ChL-related ancestry into the Levant", there are grounds to attribute the arrival of J1-L862 and J2b1-M205 to this "initial spread of Iran_ChL-related ancestry into the Levant", J1-L862's phylogeny certainly suggests that something very important was happening between the Pottery Neolithic and the Chalcolithic. Levant_BA_South is also, IMO, the most convincing proxy for Proto-Semitic ancestry at this stage, this would explain the strong correlation between the distribution of these lineages and the dissemination of Semitic speech (both in terms of frequency and phylogeny) as well as the massive founder effects under J1-L862. The Proto-Semites were semi-nomadic pastoralists, so while the Iran_ChL-type ancestry probably had something to do with the emergence of highly organised and structured culture in the Levant during the Chalcolithic, they eventually took up a lifestyle which enabled them to have a very important demographic impact. The bulk of the J2a lineages probably arrived during the Early Bronze Age, though it is harder to tell. J2a's phylogeny is much more complex than J1's, so it's possible some lineages might already have been present during the Chalcolithic. The spread of Khirbet Kerak ware (tied to Kura-Araxes) definitely is a valid contender, by and large the successive phases of urbanisation after the 4.2 kiloyear event are bound to have seen an influx of J2a. Later migrations during the Bronze Age are also plausible, however less likely to have had a large impact. Finally, most of the R1 clades are almost certainly tied to the spread of different IE-speaking groups in the region, the same can be said of Q1b-L245. Most of this is bound to have occurred during the Middle Bronze Age, the most prominent contenders here are the Mitanni and the Hittites. Last edited by Agamemnon; 12-09-2018 at 08:24 PM. The most common Y-DNA haplogroups among Assyrians is T-M184, at 41.5%, which is frequent in Middle Eastern Jews, Georgians, Druze and Somalians (and Ethiopians). If I recall correctly Akkadian-speaking people came from the Levant circa 3000 BCE .... So maybe the T among Semites is native Mesopotamian? One needs to understand that the father of T ydna is LT haplogroup....origins , some say caspian sea, others indus valley. Last edited by vettor; 12-10-2018 at 04:37 AM. E is a latecomer. CT and co. were the first to enter the Levant from Africa, among them, CT and J were the ones who populated it. Last edited by Shamayim; 12-09-2018 at 10:47 PM. The Peqi’in population also appears to have contributed differently to later Bronze Age groups, one of which we show cannot plausibly have descended from the same population as that of Peqi’in Cave. The above quote means that the T found in the Peqi’in population is not related to the Bronze Age Proto Semites. We find that the individuals buried in Peqi’in Cave represent a relatively genetically homogenous population. This homogeneity is evident not only in the genome-wide analyses but also in the fact that most of the male individuals (nine out of ten) belong to the Y-chromosome haplogroup T (see Supplementary Table 1), a lineage thought to have diversified in the Near East. This finding contrasts with both earlier (Neolithic and Epipaleolithic) Levantine populations, which were dominated by haplogroup E, and later Bronze Age individuals, all of whom belonged to haplogroup J. The above quote shows Peqi’in population is not related to the natives of North Africa, whom migrated I think from North Africa into the Levant. The distinctive cultural characteristics of the Late Chalcolithic period in the Levant (often related to the Ghassulian culture, although this term is not in practice applied to the Galilee region where this study is based) have few stylistic links to the earlier or later material cultures of the region, which has led to extensive debate about the origins of the people who made this material culture. One hypothesis is that the Chalcolithic culture in the region was spread in part by immigrants from the north (i.e., northern Mesopotamia), based on similarities in artistic designs. 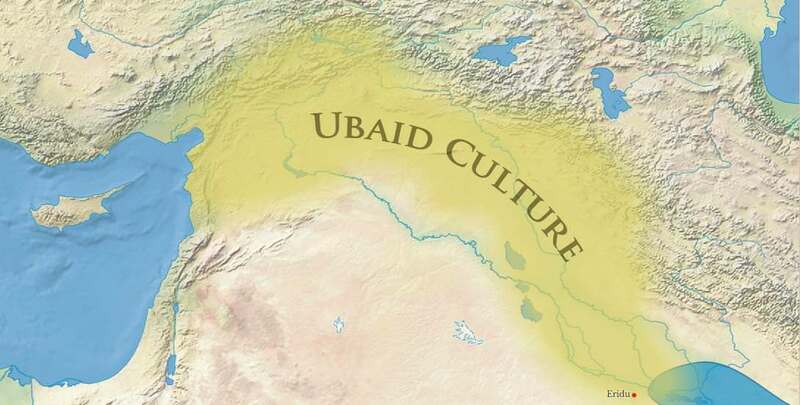 The above quote means that the T found in the Peqi’in population is related to the natives of Mesopotamia. Knowing that T was found also within the PPNB culture, i think that the people of the Jarmo, Hassuna, Halaf, Ubaid cultures from Mesopotamia with T migrated to the Levant starting from the Neolithic until the late Chalcolithic. And after this within the Bronze Age people with J migrated into the Levant. Also, within dozens of archaeological studies conclusions are made that the Ghassulian culture is equal to the Halaf culture. We highlight three findings of interest. First, an allele (G) at rs12913832 near the OCA2 gene, has an estimated alternative allele frequency of 49% in the Levant_ChL population, suggesting that the blue-eyed phenotype was common in the Levant_ChL. Blue eyes were found in the archaeological findings of the native Mesopotamians, and the above shows again I think that T is from the natives of Mesopotamia. The archaeological finds at Peqi’in Cave share distinctive characteristics with other Chalcolithic sites, both to the north and south, including secondary burial in ossuaries with iconographic and geometric designs. It has been suggested that some Late Chalcolithic burial customs, artifacts and motifs may have had their origin in earlier Neolithic traditions in Anatolia and northern Mesopotamia. Some of the artistic expressions have been related to finds and ideas and to later religious concepts such as the gods Inanna and Dumuzi from these more northern regions. The knowledge and resources required to produce metallurgical artifacts in the Levant have also been hypothesized to come from the north. The above quote also shows that the Peqi’in population is from the native Mesopotamians. And findings related to concepts such as Inanna and Dumuzi show that they are also close to the Sumerians. Maybe after the Chalcolithic a back migration to Mesopotamia happened? Thanks! By the way did J1 enter the levant among pastoral herdsmen or among farmers like J2 and G? As Agamemnon stated, the Proto-Semites were a semi-nomadic pastoral group and so the J1 bearers that arrived into the area seem to have adopted this lifestyle and were absorbed. The natives in my opinion were probably mainly E1b1b carriers. Going by the cultures which you may be able to attribute the expansion of J1-L862 with, these people were originally part of rather developed civilizations that mainly sustained themselves on farming. Agamemnon mentioned the Halaf culture as a good candidate for one of these J1-L862 groups. Though originally J1 carriers were probably a pastoral group, and if you go back enough, hunter-gatherers(CHG most likely). ^^To be clear, I would be quite surprised if the Proto-Semites lacked J1-L862, I honestly do not think we can say that J1 was "Semitised" because the time frame we're dealing with (Pottery Neolithic to Late Chalcolithic) precludes such a phenomenon, if my educated guess (that is to say the arrival of Iran_ChL-type ancestry during this time frame) is vindicated there's no avoiding the fact that J1-L862 was part of the earliest Semitic-speaking communities and therefore among the progenitors of Common Semitic speech. What we can definitely say however is that these intrusive migrants did not originally speak an Afroasiatic language, and so they certainly adopted Pre-Proto-Semitic and henceforth contributed to the language's "development". Edit: I might be giving the wrong impression here since, well, I am talking about my own lineage after all. But this isn't what truly motivates my comments, rather it is the need to explain the profound change in the region's uniparental landscape between the Neolithic and the Bronze Age. We are dealing with a phenomenon that is in many ways comparable to the spread of the R1 lineages throughout Europe during the Bronze Age, much like R1b and R1a, J1-L862 experienced severe founder effects (what was once called "star-like expansions") and seems to have followed a period of local decline and intense climate change, in both cases it is extremely likely the most durable aspect of these migrations was language change driven by nomadic groups. Between these two periods (the Neolithic and the Bronze Age), there is another period, the Eneolithic/Chalcolithic period, of which we know very little, the Peqi'in samples are a good start but unfortunately it would seem that this population was a biological dead-end. I sincerely hope we will soon get better genomic coverage of the Chalcolithic Levant, an area of great relevance to the region's demographic prehistory, and of course Mesopotamian data is sorely needed. What needs to be kept in mind though is that, at this stage, it looks as if the entire history of J1 is that of a minority lineage which "got lucky", other lineages such as E-M34 and J2b1-M205 are obviously tied to the earliest Semitic dispersals and might well have been much more prominent than J1. Last edited by Agamemnon; 12-10-2018 at 02:21 AM. The only thing that distinguishes Anatolia_N from Levant_N autosomally is level of Taforalt-like ancestry, and that appears not super ancient (at the 10,000bp or so time-scale the sample are from). Any lineage found in Anatolia_N should be found in Levant_N as well. What is the earliest J1 near the Levant? I know about the J1 in Kura-Araxes. How about a "late scenario" where J1 arrived with Kura-Araxes related groups (via Mesopotamia?) into a proto-semitic world with E, T and some G2a? Incredible that we still lack information from Mesopotamia. What kind of language do you think they spoke before switching to Afroasiatic? Which options should we consider most likely?